No core or ab workout routine is complete without a good lower ab workout. If you've read my page on lower abdominal exercise physiology, then you understand that you can emphasize different parts of your abdominal muscles by changing the ab exercises that you perform. And if you've read my page on exercise myths then you also know that you cannot spot reduce, which means that working your lower abs does not magically get rid of the fat on your lower stomach. But even though you cannot spot reduce; there are still many reasons to exercise your lower abs. Having strong lower ab muscles can support good posture, protect the lower back, support good alignment of the lower body, and increase sports performance, speed, and functional capacity. There are a few things that you must do to create a good lower ab workout. In order to increase the emphasis on your lower abs, your pelvis must tilt posteriorly (like in a reverse crunch) and/or your legs must move (like in a leg raise). You can set up your lower ab workout as straight sets, supersets, or circuits. Straight Sets are the easiest workout, because you focus on 1 lower ab exercise at a time and rest in between each set. Supersets and Circuits are tougher because you perform 2 or more lower abs exercises in a row without rest. Below are some sample lower ab workouts. Perform 12-20 repetitions per set and rest 30-60 seconds between sets. Do 2-3 sets per exercise. Reverse Crunches, rest, Reverse Crunches, rest, Reverse Crunches, rest. Leg Raises, rest, Leg Raises, rest, Leg Raises, done! If you're just getting started do two sets per exercise. Always use good form. If you experience lower back pain, at any time rest, check your form and/ or see a health professional. You can do the same workout using the super set technique and it will make the workout much harder. 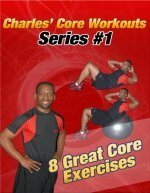 Reverse Crunches, Leg Raises, rest, Reverse Crunches, Leg Raises, rest, Reverse Crunches, Leg Raises, done! With the superset technique you would go from the first exercise to the second exercise without resting, and this increases the challenge of the workout. If you want to increase the challenge of the lower ab workout look at the advanced routine below. If you really want to challenge your lower ab muscles try a circuit of 3-4 lower abdominal exercises. In a circuit you would go from one lower abs exercise to the next without any rest. Rest at the end of the circuit for 60-90 seconds and repeat the circuit. Circuit Tips: Perform 8-15 repetitions per exercise. Do the Circuit 1-2 times, 3 times if you're really advanced and want serious core strength. Here are some lower abdominal exercises that emphasize the lower abs. To set up your lower ab exercise circuit simply pick 3 or 4 of the exercises from above and put them in any order to create your ab workout. If you are a beginner, I recommend starting with a straight set workout or a super set workout. When you progress from a basic workout to an advanced workout, stick with exercises that you know in the beginning. After you master your first circuit, you can try more advanced ab exercises. Focus on the same lower abs exercises and the same workout routine for 3-6 weeks, and change the workout. When you change anything about the routine you will change the feeling of the workout. You can change the exercises, the repetitions, or the order of the exercises and this will give you a new ab workout. Decline Reverse Crunches, Bicycle Crunches, Hanging Knee Raises, Stability Ball Roll-ins. These are just samples to get you started. Use the principles of straight sets, supersets, or circuits to create the best ab workout for yourself. This site has pictures and instructions for nearly every lower abs exercise on this page, so check out the Directory of Abdominal Exercises to learn all the best ab exercises on this site.